I've been thinking about the topic of empowering for quite some time now, due to my own circumstances. I've always believed that everyone has the power to change and direct their own life: whatever you want to reach or achieve, you should go after it - the universe will conspire to help you get there. If not in the exact same form you presumed, and possibly through "blessing in disguise" path, but to the destination nevertheless. For the past few years, I've felt like my career is on the side track. I left my previous career in my country of origin to move to Australia: to achieve a dream to live in the land of sun instead of rain and sleet. I found a job from a completely unrelated field, felt happy about it for a while, but then started to think I better go back to my "own field". I started applying for jobs. To no avail. Employers wanted none of me or my experience, because it was foreign and I didn't have the same credentials, networks and experience as the locals. I simply got the door thrown shut on my face again and again. How could this happen, if the universe really conspires to help us reach our goals? What about the law of attraction, manifesting, positive thinking, perseverance, good old hard work to achieve goals? None of those seemed to work the slightest. As you can imagine, I've done countless of readings about what should I do, how to approach this dilemma, but mostly - let's be honest here, maybe 90% of the times - I read for: will I get this job? I've got a whole range of answers from "of course you'll get it" and didn't, and "no you won't, it will be a disappointment" and it was; and "you'll get distracted and won't apply for the job", and that happened too. The theme that has remained has been: something in me and my thinking needs to change, there is a lesson underway which I have not yet completed but am, in fact, resisting. But I couldn't decipher what the lesson could possibly be, other than murder my previous experience and enthusiasm and swap it for something quite mundane and uninspiring - why would that be a great lesson? WHYYYYY? I've cried more than once. At the turn of the year it finally clicked. It's a fact I can't return to my old specialist field because the credentials and expectations here are different than in the country where I obtained my degree and previous work experience. However, as I am doing a PhD degree, this current arrangement is the best I can think of: my job allows me to fund my life and studies, whereas if I were on a scholarship, I'd be in a very tight spot financially. If I were to change jobs before my degree is ready, I'd lose time, energy and focus to study; as I would be learning the new job and it could prove stressful. What else clicked was: I was giving away my power by expecting that things will magically fall into place if I just wish for them. I didn't have a proper plan what sort of a job or career I'd like to pursue, so I applied for anything and everything even remotely interesting, without properly tailoring my paperwork and showing that I am the best candidate for this particular job, not "just give me a new, different job already." And by asking questions like "will I get this job", I relied on the positive or negative answer and did not try my best - I either grew complacent or got discouraged. I felt all this time that my cards were taunting me and giving either extremely positive answers to lift my spirits (which would then be crushed by a negative outcome), or repeating cards I couldn't understand in this context: Death, Devil, 4 Cups, 7 Swords. Now I've finally figured that Death has meant a profound change I've underwent and it relates to both career and life in general. I no longer care about a prestigious title or a powerful position at work, I care about evolving as a person, learning, feeling inspired in life. Devil means all the fears and negativity that I've harboured, such as "will I be stuck here forever" without having a proper, step-by-step plan where I'd rather be and what exactly I'd be doing. 4 Cups has flagged the opportunity I currently have but was overlooking: the chance to study and work at the same time. I've been so preoccupied with my job woes that last year I didn't progress much with my studies. 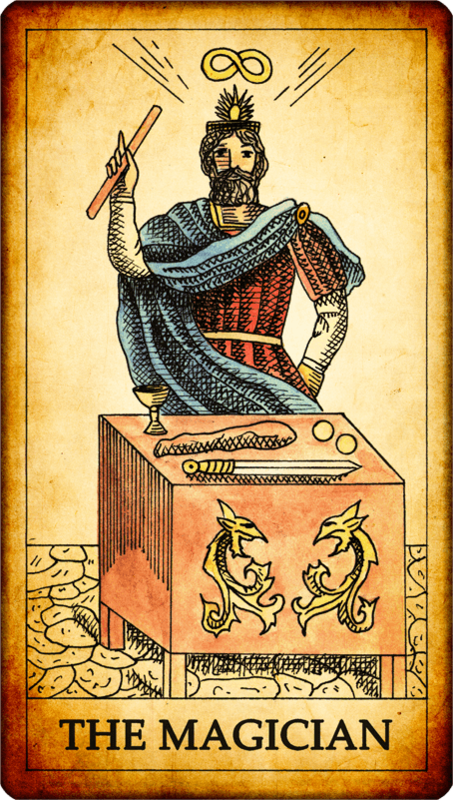 7 Swords is a "research" card for me - gather other people's thoughts and ideas for your own purposes, but it's also the "run with your own agenda" card: have a plan. Set a strategy. Do what serves your interests first and foremost. Don't bend over backwards for others (but remember to be a decent person, nevertheless and always). When I changed my perspective and started asking "how to do this / what should I focus on now" instead of "will I get X, Y, Z, yes or no", I've got much more meaningful and trustworthy answers, too. I feel like I've found the track again. I still believe that positive thinking and dreams are the key for success, but they won't work without intention: where exactly should you go next, why and how. Chaotic thoughts and random firing (of applications, plans or frustrations) can't possibly produce a clear-cut result nor much progress. I understand from experience that life doesn't always change for better even with the best of plans and strategies. But I also think that very often people think they have a goal or even a plan, when in fact they have a bundle of unsorted, more or less chaotic emotions, frustrations and wishes. If I only found a partner, if I only lost weight, if I only found a new job... everything would be better. But what practical, daily, one-by-one steps you could actually take, instead of waiting for the universe to deliver? What small thing could you do differently every day to get to the goal? And what if some of the elements you want in life are actually within your reach already, if you just change your perspective? Magician - card is sometimes seen as a trickster or manipulator, but to me it's a person who manages to align his/her will (intention) and actions to produce a successful outcome. After all, even a magician can't perform a trick if there is no clear intention or plan: am I trying to get a bunny out of this hat, or a pigeon, or a bunch of flowers - or something completely different? Picture via Dark Tarot , couldn't find the artist attribution.